EMMA partner representatives met for a project meeting at universitat Politècnica de València on 15–16 December 2015. The MLLP research group hosted a fruitful EMMA project meeting on 15–16 December 2015 at Universitat Politècnica de València. EMMA (European Multiple MOOC Aggregator) is a 2014–2016 pilot action supported by the European Union that is showcasing excellence in innovative teaching methodologies and learning approaches through the large-scale piloting of multilingual MOOCs from different European universities. 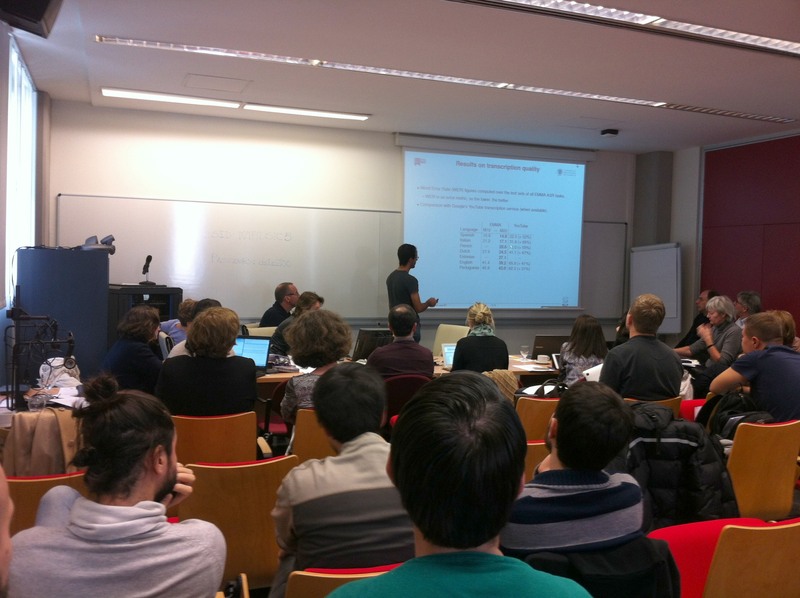 Representatives from the EMMA partners met for a project meeting in València on 15–16 December 2015, hosted by Universitat Politècnica de València’s (UPV) Machine Learning and Language Processing (MLLP) research group. In this meeting, the EMMA partners reviewed progress in all work packages of the project, and defined future plans, with the aim of making the most of the 2016 EMMA period and maximizing the project’s impact. You can read the news about the project meeting at the EMMA website for a description of the project’s status and the main topics that were addressed. We at the Universitat Politècnica de València’s MLLP research group would like to thank the rest of the EMMA partners for their positive comments after a fruitful project meeting. We are glad to have had you here in València, and we look forward to a successful new year of cooperation. In order to learn more about the project, you can visit the EMMA project website. And don’t forget to check the EMMA online courses that you can join! Posted in All, Projects and tagged Educational Technologies, EMMA, EMMA project meeting.